WEATHER: cloudy all day, lots of rain during the late afternoon. We had a superb morning it was fantastic birding although the light wasn’t the best we could have hoped for. We met up at 6am just as it was getting light and drove a short distance to a footbridge over the river. The bridge was a long narrow suspension affair, it had a weight limit of 5 people at a time it was old and rickety with holes on the walkway, a little scary for some. As we approached the final part of the bridge we could see a flock of some 35 Asian Openbills roosting in a tree and a Stork-billed Kingfisher sat on a wire a few meters from us. Once on the other side the light improved and the birds came out to play. 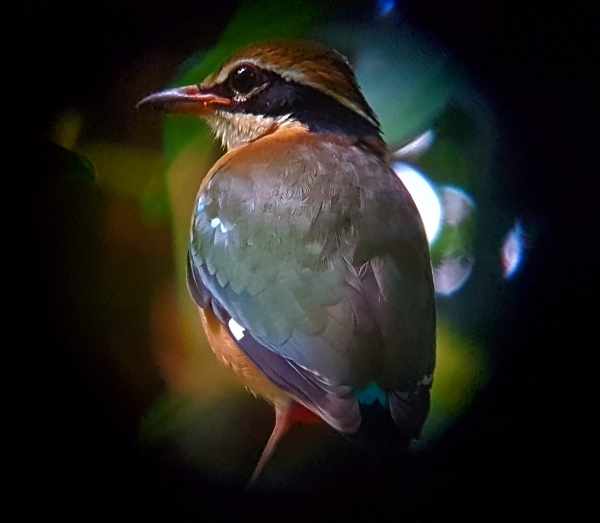 One of our first sightings was of a ‘white morph’ Asian Paradise-Flycatcher, what a beauty, then we saw our first Green Imperial Pigeon and the misnamed Dark-fronted Babbler (it has a white front). Birds came thick and fast, we had a string of firsts without moving too far. 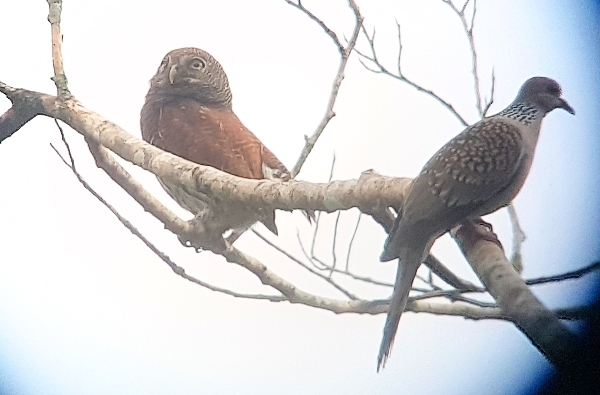 We stood in someone’s driveway and watched the endemic Brown-capped Babbler, they showed really well, we also saw Tickell’s Blue Flycatcher, Scarlet Minivet, Sri Lanka Hanging Parrot and Common Iora all in the same garden! Walking further along a track that climbed up through small tea plantations and open fields we saw the superb Emerald Dove feeding on the track, then a pair of the endemic Sri Lanka Green Pigeon quickly followed by the endemic Jungle Fowl and we had a brief encounter with the endemic Green-billed Coucal. 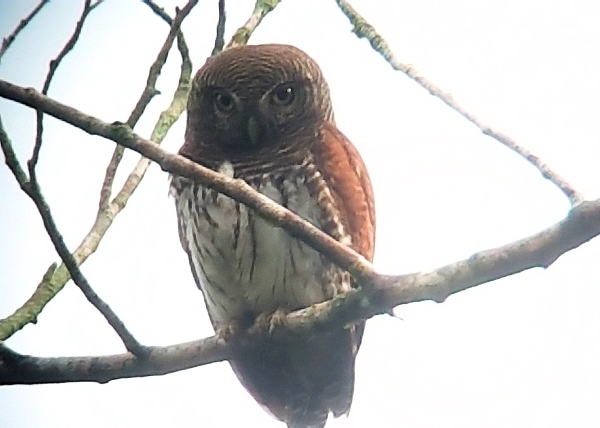 We spent a lot of time trying to see a Banded Bay Cuckoo which called all the time and never showed, but our consolation came a few minutes later when we found, no one, but two Chestnut-backed Owlet. They sat right out in the open and even copulated in front of us, how rude was that? 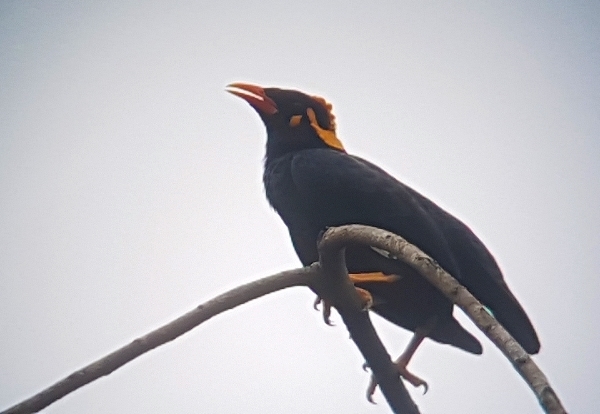 After that excitement we made our way back slowly to the rickety bridge, we added another endemic, the Sri Lankan Swallow to the list also the Asian Brown Flycatcher, Lesser Hill Mynah, Golden-fronted Leafbird and we had flyovers of both the endemic Leyard’s Parrot and the large Alexandrine Parakeet. 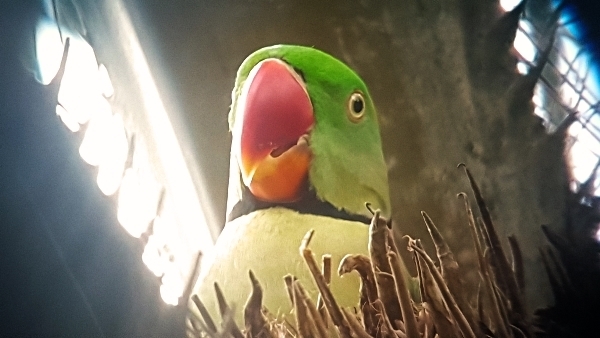 It really was a bird-filled morning and I haven’t even mentioned all the common Bulbuls, Tailorbirds, Sunbirds, swifts and swiftlets. 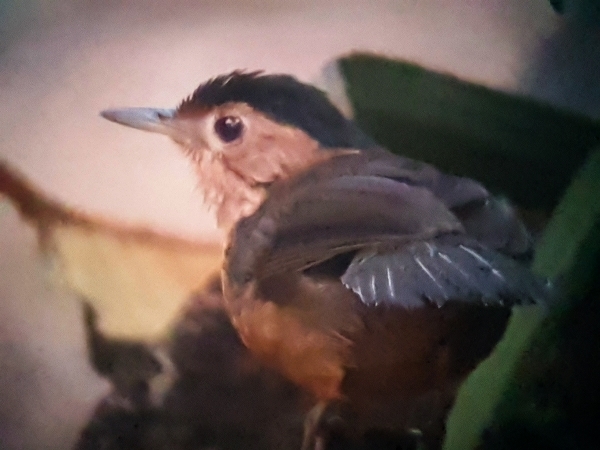 One last goodie was added as we approached the bridge and that was the Velvet-fronted Nuthatch, what a beauty that one is. We got back to the hotel around 9:30 and tucked into a nice breakfast, I left the curried tuna alone as I had a bad experience a couple of years back here with that little breakfast specialty. 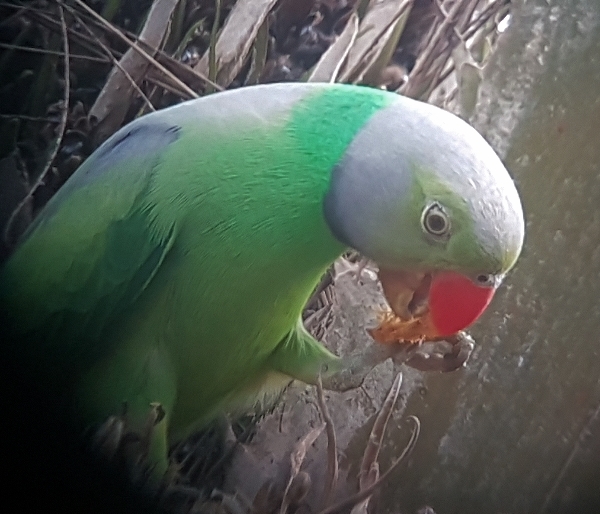 We reconvened again at 10:30 and just went for a walk in the grounds, we had some unbelievably great views of both Alexandrine Parakeet and Leyard’s Parrot and yet again the Hanging Parrots came down to drink. 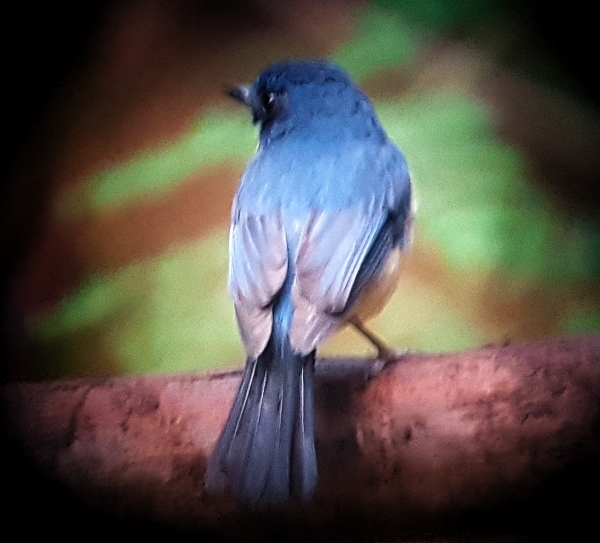 We added White-browed Fantail and watched many other more common species. As the day heated up raptors started to appear above the surrounding hills. 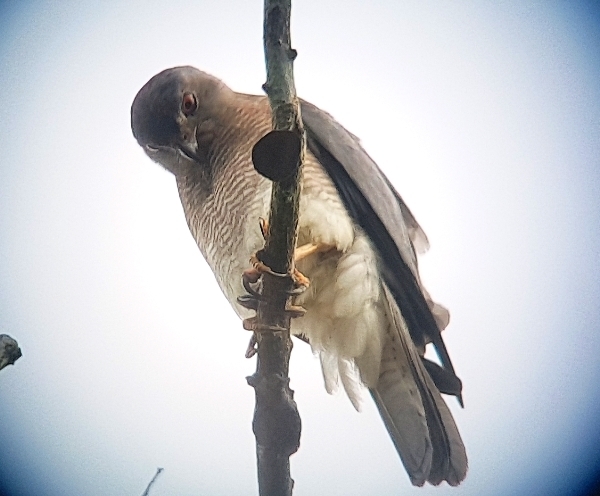 A group of three Oriental Honey Buzzards were followed by Legg’s Serpent Eagle, a Brahminy Kite and lastly the accipiter, the Besra. We took a long lunch break in the heat of the day and went out for a second walk around 3pm, this time we drove a very way to a track next the local Police Station. Unfortunately for us a large group of Norwegian Birders arrived at exactly the same time, they did spoil things a little later on. We notched our first Shikra just as we got out of the bus and left the Norwegians watching it, but our destination was the same part of the track much lower down and even though we went different ways e arrived together at the designated spot. The prize was an Oriental Dwarf Kingfisher, but we were sort of crowed out by Norwegian photographers with no birding etiquette whatsoever. The same happened with the Indian Pitta a few minutes later, but this time we let have their fill and waited for the bird to reappear when we all had superb views all by ourselves. 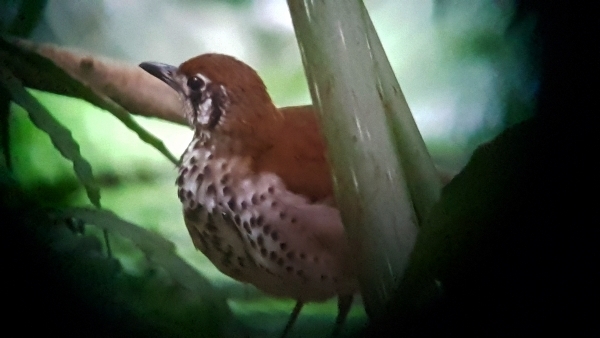 Whilst we searched for the Kingfisher we found our first endemic thrush, the Spot-winged Thrush. 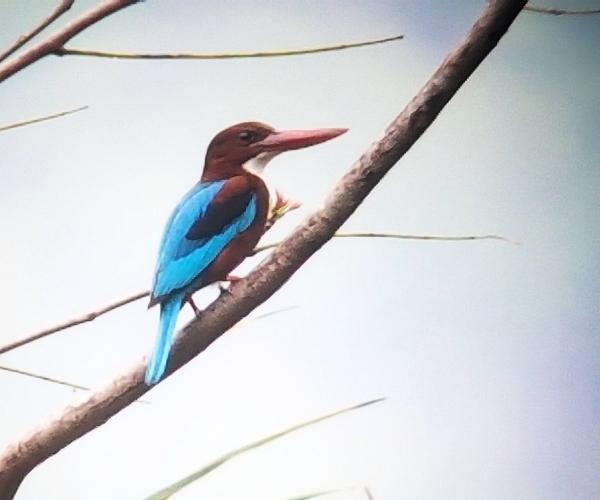 The clouds got a little thicker and it did go quite dull but we persevered and went on to have wonderful views of Sri Lanka Swallow and added Black-headed Ibis to our list and we saw a second Shikra which showed much better than the previous one. my only shot of the Indian Pitta ............better to come? It started to rain and fearing another soaking we decided to head back to the bus pretty smartish, it was now 5pm with not a lot of daylight left so we called it a day, a superb day. We met at 7pm to call the bird-log and then went in for dinner, we were all in bed by 9pm in readiness for a another early start. Tomorrow we are heading up to 2,800 meters based in Nuwara Eliya.